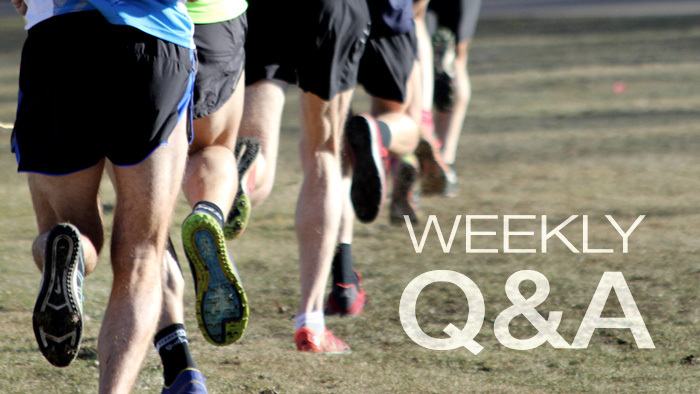 Have a question about running? You're in the right place. Every Tuesday, world-renowned coach, author and athlete Hal Higdon posts and answers athlete questions here. You can submit your question by joining the discussions on Hal Higdon's Virtual Training Bulletin Boards. Should marathon pace runs be done at the pace suggested by previous race times at different distances (as suggested by the Greg McMillan prediction charts) or the pace that you actually expect to run for the specific marathon, which in my case would be considerably slower? The prediction charts suggest I should be able to run 9:47-minute miles for my marathon, but as this is my first race at the 26.2-mile distance, I lack endurance and do not expect to be able to sustain anything near that pace. The marathon I plan to run provides pacers, including one for a 4:25 finish, a 10:10 pace, which is slower than I would probably attempt on my own, but still a time I would be very happy with. So, should my pace runs be at 9:50, 10:00 or 10:10? Why not all three? The entire purpose of pace runs is to learn pace, not finish the workout in perfect pace, each mile within a few seconds of all the rest. That’s a confidence builder, but running different paces for different workouts, or even in the same workout, will give you more a feel for your body’s capabilities. I have no doubt that you can cruise through a pace workout running 9:50 miles. But do you have the discipline to slow down to a slightly more comfortable 10:00 pace or a definitely more reasonable 10:10 pace, one more likely to insure a strong finish in your first marathon? In a marathon with pacers, it is easy to let someone else do the thinking for you, but in a crowded field it also is easy to get separated from your pace group, particularly when going through aid stations. So use the pace workouts to teach yourself different paces, since this capability will help you not only in your coming marathon, but also in future races at various distances as well.